The baby, who lives in a tiny village in Tanzania, wasn’t eating well and wasn’t growing as fast as his siblings had. Desperate to find help, his mother, Amina Malegesi, sought out a community health worker, who sent her to a program nearby. There, she learned that she needed to breastfeed her son–and provide him healthy food–to help him grow. Over time, he got better. Thankfully, Frederic is a happy and healthy toddler today. Frederic’s story should be a reminder of the importance of breastfeeding and proper nutrition in the first 1,000 days of life. It is truly a life or death situation. That’s why the global health community and faith-based organizations, like IMA World Health, must work to spread the word that breastfeeding is the best way to nourish children and give them a solid foundation for a healthy and productive life. Numerous studies have shown that early and exclusive breastfeeding is an important part of infant nutrition with many health benefits to infants. The World Health Organization1 and the American Academy of Pediatrics2 both agree, based on decades of research, that breastfeeding is best. “Breastfeeding is one of the most effective ways to ensure child health and survival. If breastfeeding were scaled up to near universal levels, about 820,000 child lives would be saved every year,” WHO states. In vulnerable communities around the world, like the one where Federic was born, thousands of children become ill or stunted because of inadequate nutrition during a child’s first 1,000 days, which begin at conception. Stunting affects a child’s overall health, physical and cognitive development, and longevity. Children who are stunted run a higher risk of staying in poverty for generations. Studies in both Tanzania and Indonesia estimate that about 1 in 3 children under age 5 are stunted.3 IMA and our partners work to reduce child stunting in places such as Tanzania, Indonesia and the Democratic Republic of Congo. 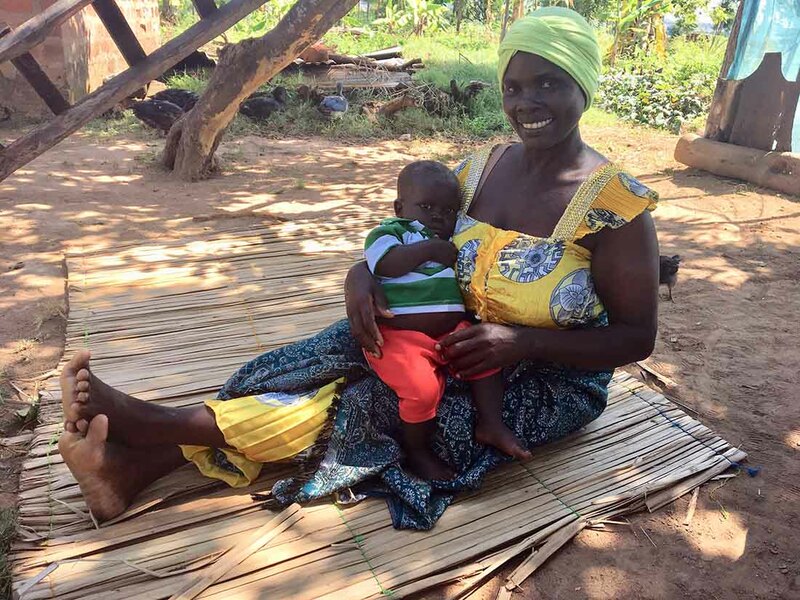 The Addressing Stunting in Tanzania Early, or ASTUTE, program, which IMA implements, made it possible for Frederic’s mother to get the information she needed when her child needed it the most. In some instances, it is true that mothers are unable to breastfeed. When that is the case, mothers should be supported and educated on the next best option. These mothers deserve caring responses and should not be stigmatized. However, it’s important to note that formula is sometimes not a safe option. In developing countries where drinkable water is hard to come by, mothers must search for safe water to make a bottle. Where there is poor sanitation and hygiene, mothers might not have access to the soap and water they need to ensure the bottles are clean and won’t make their babies sick. These are just a few of the hurdles mothers must overcome to ensure their children receive proper nutrition. As part of World Breastfeeding Week (Aug. 1-7), IMA World Health joins fellow faith-based organizations and global health experts in supporting the mothers around the world to make sure they have the most up-to-date information to make the best decisions about how to feed their children. In some vulnerable communities around the world, faith-based organizations provide more than half of all health care in their communities. The impact of these organizations cannot be underestimated. Let’s work together to spread the message and support mothers from the U.S. to Tanzania to Indonesia and beyond. These actions will save lives and ensure children have the best possible start in life.